More differentiated writing prompts!!! E really enjoys them, and I’ve wanted to get in a Thanksgiving version before it’s too late for this year. So here they are: Thanksgiving Writing Prompts for Kindergarteners! Traditional writing prompts are overwhelming for my beginning writer, but with my version, she gets image prompts plus suggested words she can use in her own sentences. I let her choose which version she wants to use (there are four versions with different levels of support), and lately, she’s frequently chosen the version that doesn’t have suggested words. So she’ll write what she wants to write and then check her spelling with a version that does have words. I love watching her process, and she has fun with it, too! Printer and regular paper. You’ll probably just need one or two sheets of paper, depending on your kids’ developmental level. 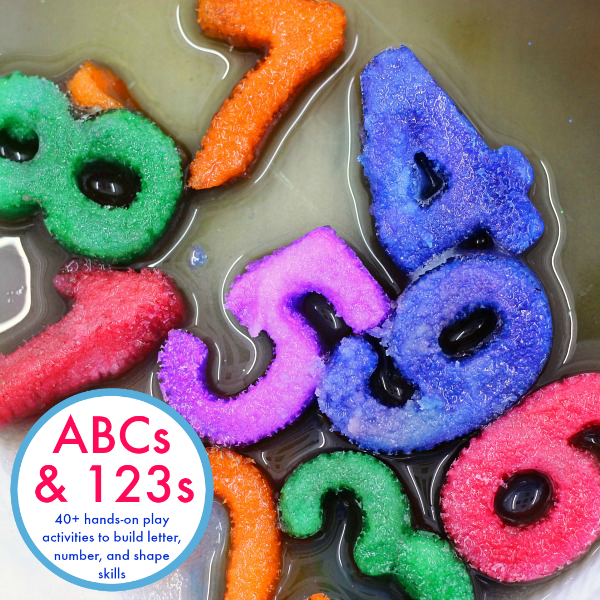 Or you may want to put all of the versions into a Kindergarten literacy center. Pen or (dry-erase) marker or other writing implement. For each version, there’s a page with colored images and one with black and white images. This is a no-prep printable, just print and go! 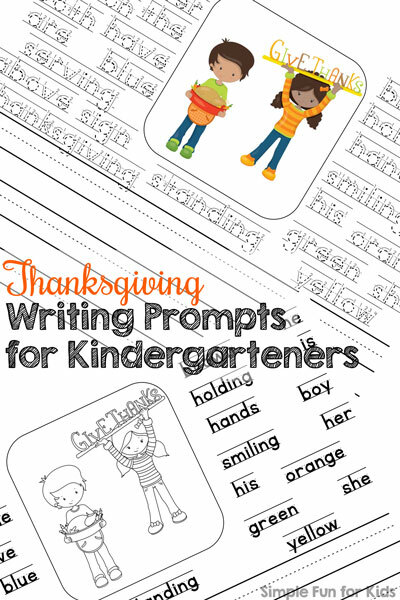 Download your Thanksgiving Writing Prompts for Kindergarteners! Looking for more Thanksgiving printables for Kindergarteners? Check Out These!